Pope Francis canonized Mother Teresa Sunday. The nun was praised for her work helping the poor in India. But critics say she only provided minimal assistance. At mass shooting sites from Orlando to Newtown to Virginia Tech, historians are collecting items that mourners and sympathizers leave and preserving them in archives. Restaurant critic Rick Nelson has been tasting and reviewing all the food at the Minnesota State Fair since 2000. He shares his greatest hits and greatest gross-outs of this year’s fair. Protests against the Dakota Access Pipeline in North Dakota turned violent on Saturday. Demonstrators supporting the Standing Rock Sioux Tribe faced off with private security officers from Dallas-based Energy Transfer Partners. Video from the scene showed security officers threatening protesters with dogs. As All Things Considered reported, hundreds of Native Americans from tribes across the country have set up a camp near the construction site in North Dakota. The Army Corps of Engineer approved the oil pipeline in July allowing it to run under the Missouri river close to the Standing Rock Sioux Tribe’s reservation. Protesters worry that the $3.8 billion pipeline, which is slated to run through four states, could disturb sacred sites and affect the reservation’s drinking water. In a statement, the Morton County Sheriff’s Department said protesters marched from their encampment onto private lands, where the pipeline is being constructed. Morton County Sheriff Kyle Kirchmeier said it “was more like a riot than a protest.” Videos show some protesters were bloodied and the sheriff says three private security officers were hurt. “The protest Saturday came one day after the tribe filed court papers saying it found several sites of “significant cultural and historic value” along the path of the proposed pipeline. 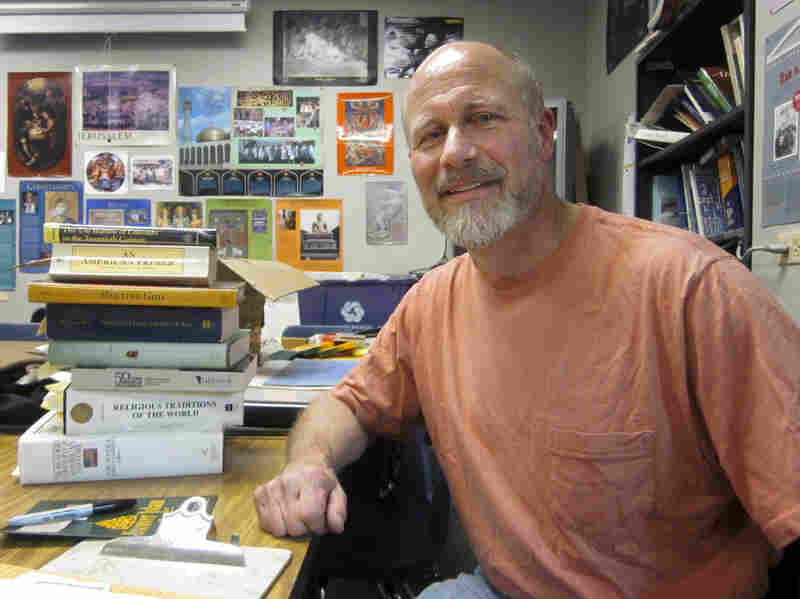 After 25 years of teaching, Rick Young won’t return to his history classroom this fall. “This became my home,” he says. “This is a unique, special place,” talking about Daniel C. Oakes High School, where he’s spent his entire career. It’s a small public school outside of Denver for students who’ve struggled with traditional education. For some, it’s their third or fourth try at high school – and they know it’s probably the last stop. And many, because of teachers like Young, finally find success. Like Ryan Hostetler. He says he didn’t expect to finish high school. Then he met Young. “He’s the most effective writing teacher I’ve ever had the experience of being taught by, and that includes literature writing classes at the graduate level,” he says. After graduating, Hostetler decided to become a teacher, too. “I wanted to make the same sort of difference in people’s lives that Rick made in my life,” he says. Hostetler now teaches at Daniel C. Oakes. Even though that gives Young all the pride in the world, he says the profession of teaching has changed too dramatically. “It’s become a lot harder to teach and especially to teach in a way that I personally think is meaningful for my students,” he says. Young is talking about a national trend in teaching to more clearly document and measure what’s taught — it’s meant to keep teachers accountable. 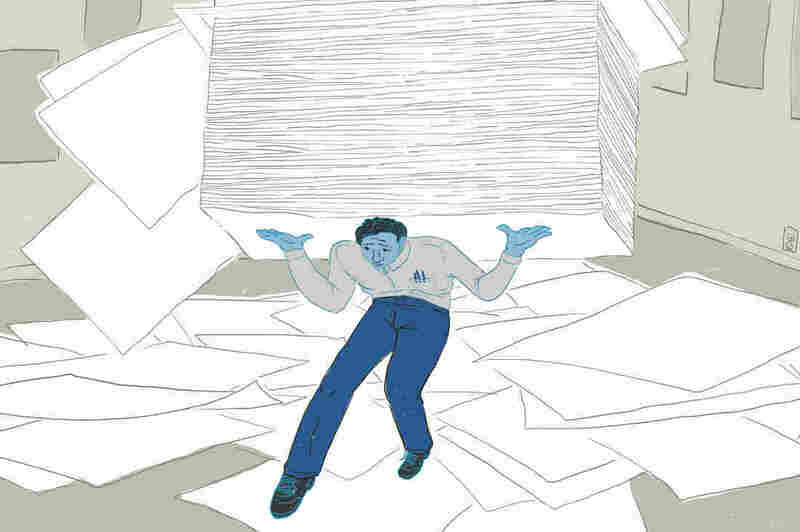 That’s led to a shift for teachers toward standardizing lesson planning. Because of that, sometimes he felt like he had to make sure he’s was still actually teaching history. Young says lessons must be written in the form of a “backward design.” That is a three-stage framework. It begins with detailing his desired results, how students will be assessed and finally explaining how he will provide learning experiences and opportunities for practice and application. Teachers are told to strive for a “world-class outcome” based on the Colorado Academic Standards, which are required items students must learn. For example, that could call for strategically creating meaning through complex writing and speaking, and defending metacognitive process in a quantitative and qualitative method. “I’ve got to make sure the lesson focuses on a 21st-century skill,” he says, which could mean civic responsibility, financial literacy, global awareness, health and wellness, problem solving, resiliency, and systems thinking, among others. The district and national backers of this methodical planning say it creates the highest-quality classrooms, freeing teachers to teach what they want, while giving them better structured lessons and activities that push kids to think at a higher level and lead their own learning. Young believes it’s left him less time for creativity and began to take a physical and mental toll as well. When he decided not to return this fall, his fellow teachers gave him a book of memories to take with him. Some students wrote to him, too. A subspecies of eastern gorilla that lives in the Democratic Republic of Congo now faces “an extremely high risk of extinction,” wildlife experts say. Grauer’s gorilla, the largest great ape in the world, is now listed as critically endangered on the International Union for Conservation of Nature’s “red list” of threatened species. The news came as another famous animal — the giant panda — was taken off the endangered list and placed on the vulnerable list. While noting that climate change is expected to eliminate more than a third of the panda’s native bamboo habitat in the next 80 years, the International Union for Conservation of Nature said the animal’s status has improved, thanks largely to forest protection and reforestation. “The improved status confirms that the Chinese government’s efforts to conserve this species are effective,” the IUCN noted, adding that conservation efforts must continue if recent gains are to be maintained. 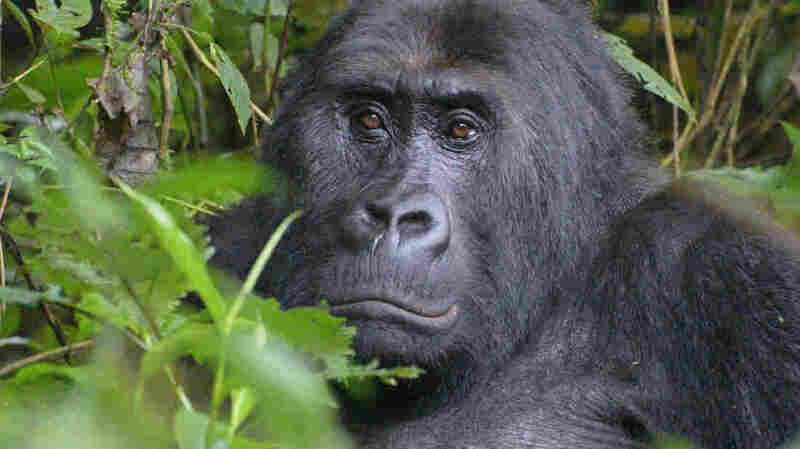 Populations of Grauer’s gorilla (Gorilla beringei graueri — formerly known as the eastern lowland gorilla) totaled only around 3,800 individuals in a survey that was released this past spring — a 77 percent reduction in a single generation that easily exceeds the drop required to be deemed critically endangered. Humans are largely to blame for the animals’ decline: Poaching, habitat loss, and civil unrest are three of the main threats the gorillas face, along with disease and climate change, according to the IUCN. Much of the illegal hunting has been linked to laborers at mines. The formal change to the gorilla’s status was announced Sunday at the IUCN World Conservation Congress that’s being held in Hawaii. With the listing, both of the gorilla species (eastern and western) and all four subspecies are now considered critically endangered — one step away from being extinct in the wild. Andrew Plumptre of the Wildlife Conservation Society was the lead author of the revised listing. He welcomed today’s move to acknowledge the gorilla’s status, saying it might help it recover. The gorilla’s current status is a stark downturn from just 20 years ago, when the total population was estimated to be 16,900 in the mid-1990s. Grauer’s gorilla lives in fractured habitats in the eastern Democratic Republic of Congo, including Kahuzi-Biega National Park and nearby forests, the Maiko National Park, Kisimba-Ikobo Nature Reserve, Tayna Nature Reserve and the Usala Forest. According to the IUCN, the gorillas eat a diet that’s “rich in herbs, leaves, bark, lianas and vines,” along with seasonal fruit, bamboo and insects. 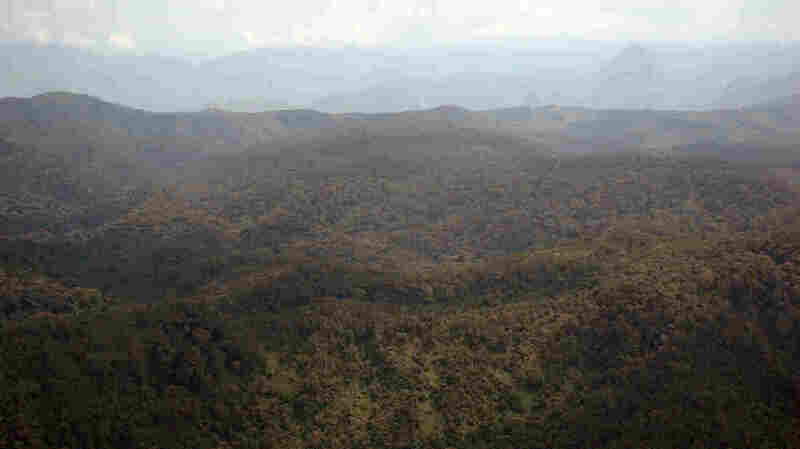 The sharp population decline had been suspected for years — the mountain gorilla, the other eastern subspecies, was listed as critically endangered back in 1996 — but it wasn’t until this year that researchers were able to demonstrate the severity of Grauer’s gorillas’ collapse, using data from park rangers and from local communities that was integrated in software called SMART (the Spatial Monitoring And Reporting Tool). Since Turkey’s government survived a violent coup attempt on July 15, it has pointed the finger at followers of an elderly, U.S.-based cleric. His name is Fethullah Gulen, and he denies any involvement. Turkey is demanding his extradition from the U.S., where he’s lived in Pennsylvania since the late 1990s. Gulen moved to America in 1999, amid worries that Turkey’s secular and military elite was after him. Gulen became a close ally of Erdogan and his AKP party when the party came to power, but the two had a falling out several years later. But it isn’t just last month’s attempted coup that the Gulen movement is being blamed for. Everything from suicide bomb attacks to past mine disasters are being laid at the cleric’s doorstep. Remember last November’s Turkish shootdown of a Russian fighter jet? The two pilots involved were arrested last month for taking part in the coup effort. The Ankara mayor declared they were Gulen followers — and the shootdown was their fault, too. In 2014, an explosion at a coal mine in Soma led to an underground fire that killed 301 people. The owners came under criticism for safety conditions at the mine. But a mine manager emerged to declare terrorists were somehow involved — and he specifically blamed the Gulenists. More recently, a horrific suicide bombing at a wedding in Gaziantep killed dozens in August. Most signs pointed to the Islamic State as the culprit. President Recep Tayyip Erdogan said maybe so — but, he insisted, the Gulen movement had a hand in the carnage as well. Some of the Gulen-related accusations go back years. When Turkish-Armenian journalist Hrant Dink was murdered back in 2007, few believed his death came only at the hands of the 17-year-old nationalist originally convicted for the killing. Now the case is back open, and Gulen-linked police chiefs are to stand trial for their alleged involvement. 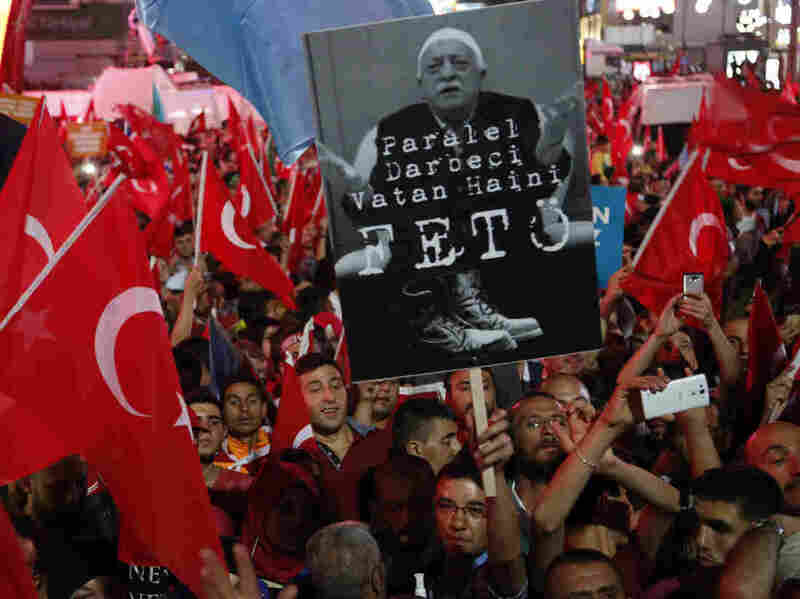 There haven’t been reliable opinion surveys, but Turks seem prepared to accept that at least some Gulen followers may have been behind the coup attempt. 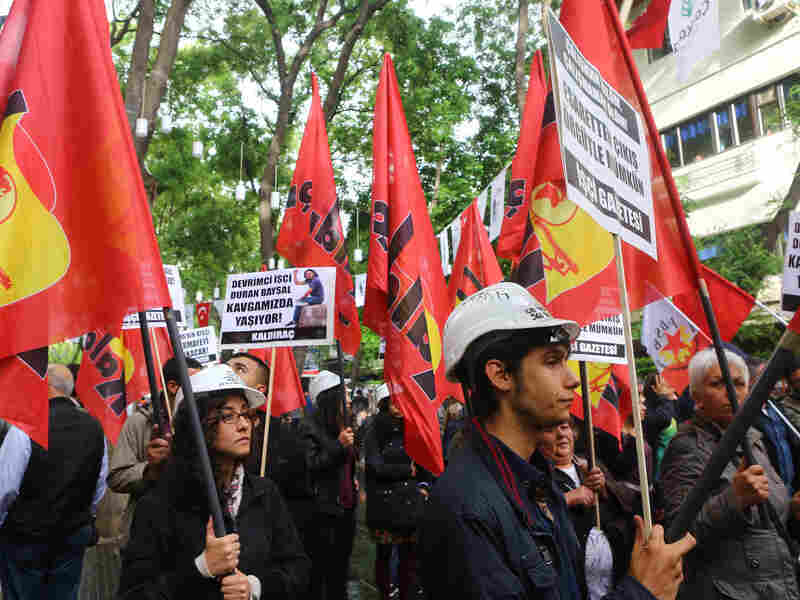 Pro-Gulen sentiment has been largely driven underground in the current climate, as Turkey remains under a state of emergency. There are varying degrees of skepticism about the other allegations. Some Turks see the current anti-Gulen rhetoric as a strategy for Turkey to gain leverage in its extradition request with the U.S. If Gulen is really guilty of so many crimes, this theory goes, not extraditing him might be politically painful for Washington, as it tries to maintain smooth relations with a key ally in a volatile region. Gulen has denied any involvement in the coup attempt, and his lawyers in Washington say Turkey’s government has a track record of making allegations against perceived enemies that don’t bear scrutiny. The extradition process is also likely to turn on the quality of the evidence presented against the cleric. During Vice President Joe Biden’s visit to Turkey last week, Erdogan acknowledged something American officials have been saying, but most Turks haven’t heard — that the many boxes of documents asserting Gulen’s guilt already sent to Washington weren’t even about his alleged involvement in the coup. They were about prior allegations of wrongdoing from years ago. Now the Turks are compiling coup-related evidence against him, after meeting with a U.S. technical team from the Justice Department. Whatever the extradition decision eventually is, it’s certain to take a long time. After one of the strongest earthquakes ever to hit Oklahoma struck Saturday, state regulators ordered oil and gas companies to shut down all their wastewater disposal wells in a 725-square-mile area around the site of the quake’s epicenter near Pawnee. The seismic activity immediately raised suspicions that it was linked to injection wells that oil and gas companies use as part of fracking and other operations. The 5.6-magnitude earthquake was felt in five states; it followed a string of smaller temblors that hit the region in Oklahoma in the past week. “The U.S. Geological Survey says the quake resembles ones scientists have linked to the wells, which the energy industry fills with fluid from oil and gas production — a small amount of which is from fracking. “Dave Denny lives near the epicenter. The quake damaged the foundation of his trailer home and severed his sewer line. The Oklahoma Corporation Commission says the moratorium area includes 211 square miles of Osage County, which is in the Environmental Protection Agency’s jurisdiction. The EPA will determine whether wells in that area should be shut down, the agency says. Rachel Martin explores some character traits that push voters away from the two most unpopular candidates in modern history. For Clinton, it’s the way she seems to protect her privacy at all costs. How did the national anthem become a hallmark of sporting events and when did athletes start using it as an opportunity for protest?